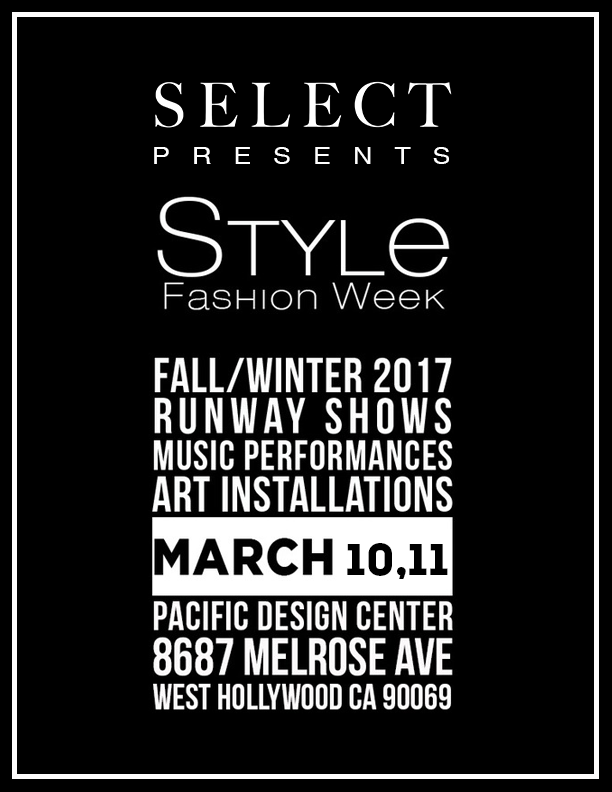 Fashion shows are usually reserved for the press and glitterati, but on March 10th and 11th, SELECT is drawing back the velvet ropes to reveal access to two very special runway shows as part of this year's 2017 Style Fashion Week at the Pacific Design Center. Join us for either one or both nights, and experience the feel of fashion's inner circle at these exclusive events. 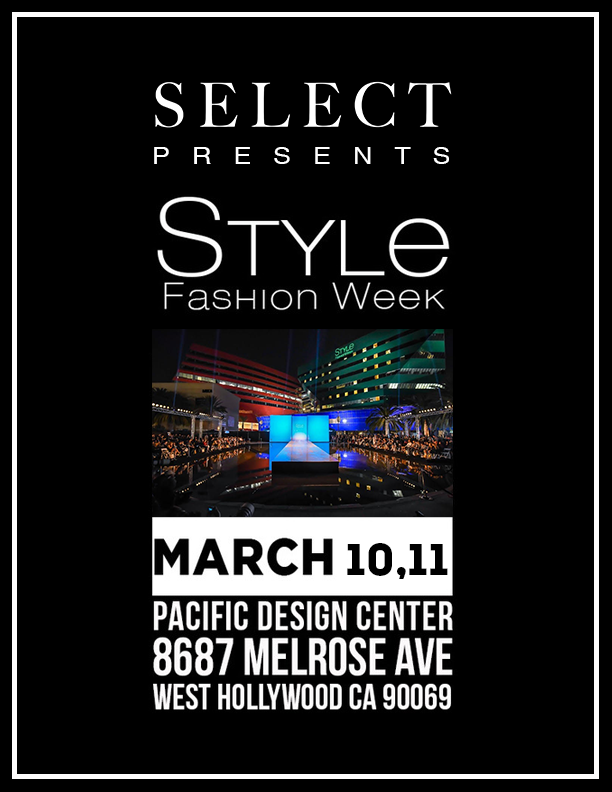 With your SELECT Access, you'll enjoy guaranteed seating for the 7-9 pm fashion runway shows and a complimentary drink. In addition, your name will be placed on the guest list for Style's opening celebration at Skybar at the Mondrian Hotel from 8-11pm on Wednesday, March 8th. Come dressed to impress and ready to have your sartorial horizons expanded at this unique Member Event. Tickets to these exclusive evenings are $20 for Members and their guests for either Friday or Saturday Nights, or you can purchase a 2-day pass for just $35. *To guarantee seating, we suggest arriving at the PDC 15-30 minutes in advance of the first show, taking place at 7pm. **Members are guaranteed seating for the 7-9 pm shows, but will be allowed to stay and enjoy the later shows at their leisure from the beautiful Design Center grounds, where all shows will be up close and visible.